According to a new report, North America Power MOSFET Market size is poised to grow at 6.5% CAGR during the forecast period (2017-2023). The Consumer Electronics market holds the largest market share in North America Power MOSFET Market by Application in 2016, and would continue to be a dominant market till 2023; growing at a CAGR of 6 % during the forecast period. The Inverter & UPS market is expected to witness a CAGR of 6.1% during (2017 - 2023). The US market holds the largest market share in North America Medium Power Rating Power MOSFET Market by Country in 2016, and would continue to be a dominant market till 2023, growing at a CAGR of 6.4 % during the forecast period. The Canada market is expected to witness a CAGR of 9.5% during (2017 - 2023). Additionally, The Mexico market is expected to witness a CAGR of 8.5% during (2017 - 2023). The Enhancement Mode Enterprises market holds the largest market share in Mexico Power MOSFET Market by Type in 2016, and would continue to be a dominant market till 2023; growing at a CAGR of 6.9 % during the forecast period. 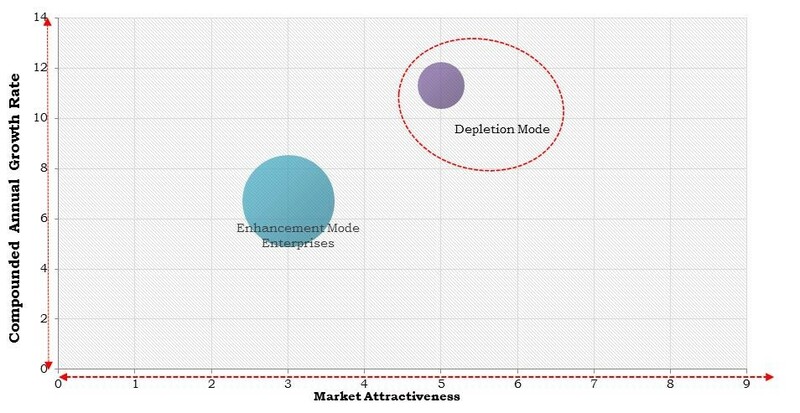 The Depletion Mode market would attain market value of $29.7 million by 2023. The market research report has exhaustive quantitative insights providing a clear picture of the market potential in various segments across the countries in the region. The key impacting factors of the North America Power MOSFET Market have been discussed in the report with competition analysis and the elaborated company profiles of STMicroelectronics N.V., Texas Instruments Inc., NXP Semiconductors N.V., DIGI-Key Electronics, Power Integrations Inc., IXYS Corporation, Mitsubishi Electric Corp., Infineon Technologies AG, Toshiba Corporation, and Renesas Electronics Corporation.